It’s the relationship building part of what I do that I think I love most of all. The opportunity to meet people with whom I might not ever otherwise cross paths. My camera takes me places and introduces me to bright, interesting people of all ages and walks of life. I’m constantly reminded by my clients of how many incredible people there are in the world (and that reminder of the GOOD of humanity goes a long way to fill my soul, especially these days!) The high school seniors I get to work with seriously blow my mind with talent, kindness and generosity, and they fill me a sense that our future is going to be in good hands. Maya was among the first of this past season’s amazing humans. 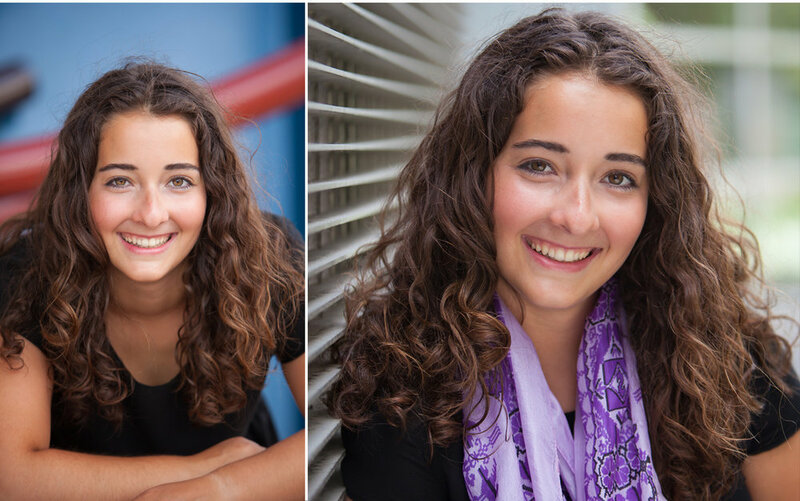 From the first moments of our photo consultation, I absolutely adored this intelligent, radiant young woman. I try not to blow my “cool” (if I even have any!) especially in front of people I’ve just met, but I honestly I almost jumped with joy when she and her mom looked at each other and said, “let's do it!” at the end of our consult! This young woman’s warm personality is the epitome of endearing: joyful, wise, grounded, adorable and positive. Not surprisingly, it was such a pleasure it was to spend time with her on her photo shoot, wandering around the area near the Denver Art Museum in downtown. I’m not exaggerating to say that if I was given the chance, I’d photograph her every day! She has a completely infectious giggle, and we all had more and more fun the longer we photographed her senior session. Watching people warm up to being in front of my camera is always deeply satisfying for me. Maya’s grounded, joyful glow started brightly, and was nearly blinding by the end, in such a beautiful way. I don’t think I stopped smiling for days after her session. It was one of those perfect days working together. Beautiful, flattering light everywhere we went, inspiring location and wonderful people. Man, I am so lucky to have the honor to photograph so many wonderful humans! Oh man I still can't look at this last photo without smiling! Thank you Maya for lighting up the world with your bright spirit and joyful smile! SENIOR PICTURE SESSIONS are NOW BOOKING! 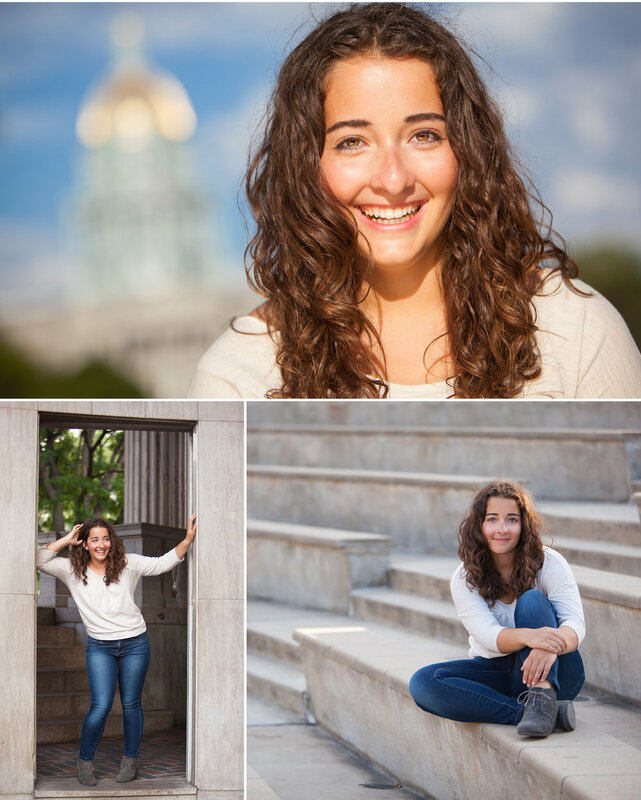 ABOUT THE PHOTOGRAPHER: I’m a fun-loving Denver high school senior portrait photographer specializing in bringing out connection, personality in the EYES by giving my clients more than just senior pictures for their yearbook. In collaboration with each client I design an immersive and empowering portrait experience, custom tailored around the personality, style and interests of each awesome senior. Let’s grab a coffee and chat about designing an amazing high school senior photo shoot for you!